When was the last time someone suggested heading over to Oberle's Corners for a bite to eat? Oberle's Corners is one of the county's numerous ghost towns. Ghost towns bring to mind images of long deserted buildings with boarded up windows, but that's not what most ghost towns look like. Ghost towns are simply former towns; places settled and then abandoned. There are many reasons why a town might not survive: being circumvented by the railroad, poor location, or being enveloped by a neighboring town. For whatever reason, the community did not become, or could not remain, a town with a governing body. Some of these cities disappeared quickly, others were swallowed up by larger, faster growing cities. But even if they cannot be called towns, some are still used as reference points in the county. Every state in the United States has ghost towns, and they are part of the history of a region. In Carver County, there are around twenty-one ghost towns. Their names are Swede Lake, Hazelton, Helvetia/Hollywood, Hancock, Mound St. Clair, Purity, Camden, Hyde’s Lake, Schnapesburg, Assumption, Benton, Dahlgren, West Union, San Francisco, Yorkville, Oberles Corners, Augusta, Bongards, Gotha, and Scandia. Here's a map to help you orient yourself as you wander through our county's past. These towns were religious communities, immigrant communities, farming towns, river towns, or railroad towns. Sometimes towns only existed on paper, not in reality. A speculator or developer would buy land from the government very cheaply, divide it up into plots on a map, and try to sell the plots to build a town. Many times the speculator failed to sell, and the “paper town” only existed as a name on a map. A town needs many things for success, but they all fall into five main categories. First is access to enough natural resources, such as water, good soil, hunting grounds, and trees. Second, access to transportation such as ferries, steamboats, trains, cars, wagons, or buses can help a town thrive or fail. Strong organization makes a town more likely to thrive. Another key factor is citizens invested in the town, with a variety of roles to play. Finally, luck plays a pivotal role. Towns faced with disease or natural disasters often have a hard time recovering and rebuilding. Other factors besides bad luck can contribute to the failure of a town. Fear of the unknown, like an unfamiliar land or unknown people, or fear of the American Indians whose land they were taking, could make residents reluctant to stay. Even when immigrants settled communities with others from the same country, sharing a culture and way of life, that very lack of diversity sometimes proved problematic in the town’s eventual success. San Francisco, named for the California city, was an early Carver County town that ultimately failed. It was founded by William Foster in 1854. He purchased land along the Minnesota River, divided it into claim lots, built the first store and a warehouse, and tried to sell other plots. San Francisco was named the first county seat soon after. The first school opened 1857-1858 with teacher Levi Williams and 1859 saw the start of a ferry operation across the river. On May 11, 1858, a meeting held in William Foster’s warehouse declared San Francisco an official town. Those attending elected officials like a Mayor and Justice of the Peace. San Francisco faced problems though, which led to its eventual abandonment. 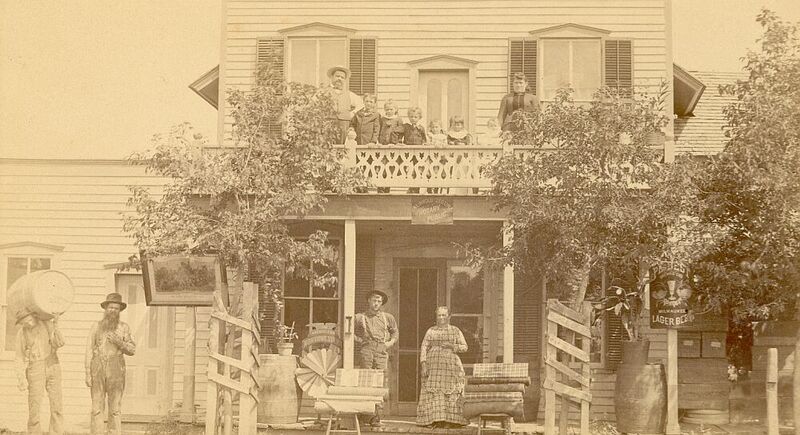 One of the first, and most important, was the county seat being moved to Chaska in 1856, eliminating one of the key reasons people visited the town. Second, the town site was located below a series of rapids on the river, which led to poor river travel and frequent flooding. In 1863, flooding washed away the warehouse and several other buildings. Many were not rebuilt as flooding was a consistent problem. When founded, San Francisco’s boundaries extended to include the town of Hancock. Residents of this area separated into their own town in 1868, taking their businesses with them. Eventually, San Francisco’s population dwindled, and the town site became private farmland. In the end, San Francisco lasted for about ten years. 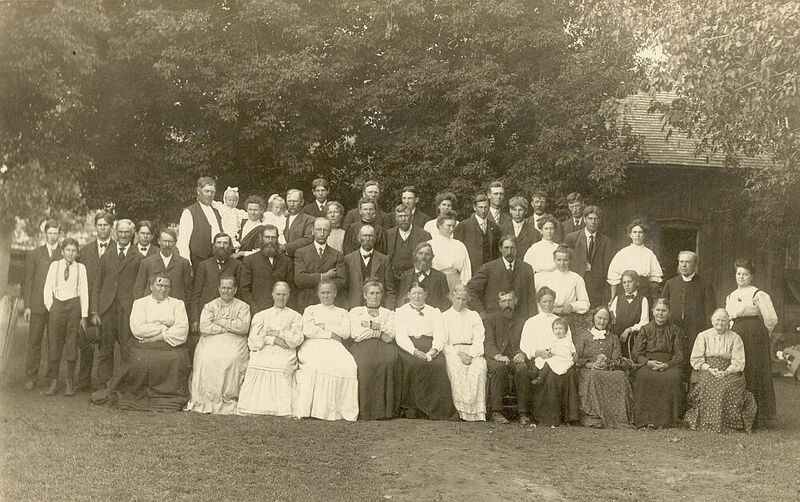 The Iustus family (also spelled Justus) from Sweden founded the town of Swede Lake, or Gotaholm, in 1856, near Watertown, along the banks of Swede Lake. Settlers founded nearby Watertown the same year. The two towns were unaware of each other, despite being only about two to three miles apart, until Swede Lake resident Abraham Hokinson got lost one night. He wandered until he found shelter in Watertown, and told his community about the nearby town when he found his way home. As time went on, Watertown became the more successful community and Swede Lake residents moved to the neighboring town, merging the two. The Town of Helvetia, built between Hollywood and Watertown townships, was named by residents after their homeland. John Buhler founded Helvetia in 1856; he also built the first store. Helvetia is the ancient name of Switzerland, chosen by the Swiss immigrants who settled the town. Eventually, to attract other residents besides the Swiss, the town was renamed Hollywood on April 5, 1860, for what settlers thought to be an abundance of holly bushes in the area. Resident Jacob Lahr opened a sawmill, and built a bridge over the Crow River for easier travel, in 1869. A post office was opened in 1875, run by resident Jacob Lahr. He was succeeded by a Mrs. Zahler and August Ninnemann, under whom the office moved to nearby Mayer in 1889. With the good came the bad for Helvetia, or Hollywood. The name change did not attract enough new residents. Roadways did not develop beyond trails through the brush. Families had few resources and struggled to make it. To make things more complicated, on one side of the town was a band of Dakota, on the other a band of Ojibwe. While the two bands got along with the white settlers, they fought often amongst themselves with the town caught between. Finally, an outbreak of diphtheria occured in 1884, killing much of the town’s population. The remaining residents decided to move a few miles away to the town of Mayer, joining the history of these two towns. 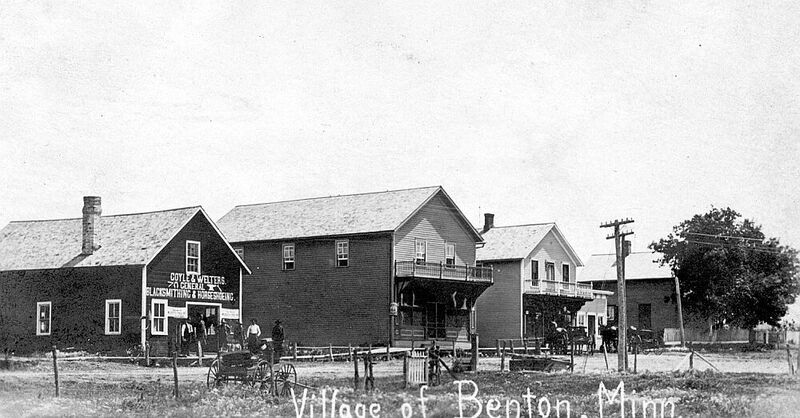 The merged town officially became the Village of Mayer on June 28, 1900. Two other communities, those of St. Clair and St. Lawrence (partially in Scott County, partially in Carver County), were “paper towns”. St. Lawrence was laid out by William H. stodder and Charles L. Pierson in November 1856. Like many towns of the time, it failed. Though the land was divided into plots for sale and development, no structures were ever built. St. Clair was platted on the south fork of the Crow River, in Camden Township, in January 1857. Speculators sold lots to people in the eastern United States, but none ever settled or erected structures in the town. Some ghost towns still have residents or buildings. For example, Bongards is still home to Bongards Creameries, and Hollywood Township to the Hollywood Sports Complex. Other towns, like logging community West Union, have a church and homes. However, these ghost towns are not incorporated and have no civic institutions such as town officials or a post office. They exist mainly in history books and memories. The photographs that follow are most of what the museum has for pictures of these lost cities. Turning Point: In 1900, the town of Hollywood/Helvetia was officially merged with neighboring Mayer, ending independent existence of one of Carver County’s last failed or “ghost” towns. 1851: Signing of treaties at Traverse de Sioux and Mendota in July and August legally opens up the land in what becomes Carver County to white settlement. 1854: William Foster founds the town of San Francisco, named for the city in California, where he had lived a short time. February 20th, 1855: An act of territorial legislature forms Carver County. March 3rd, 1855: Carver County is officially declared a county. 1856: The county seat is moved from San Francisco to Chaska. 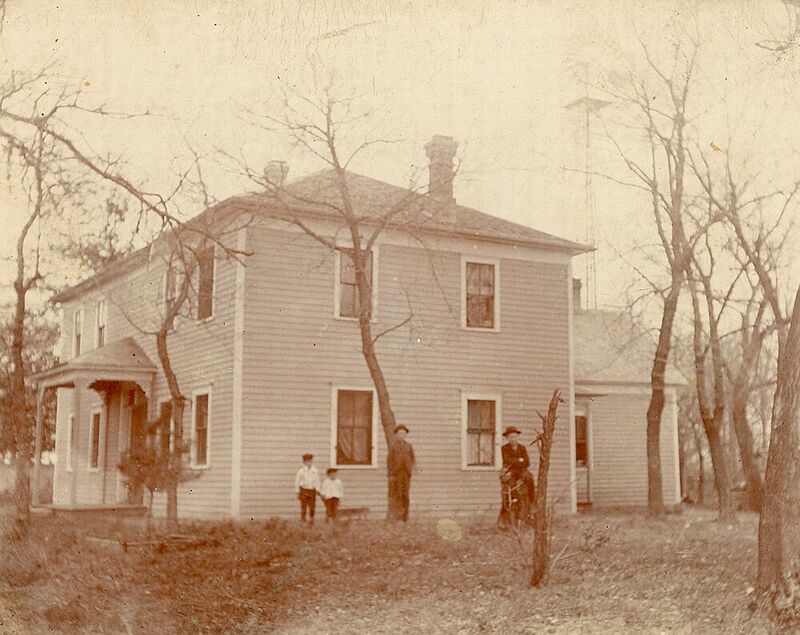 1856: The town of Swede Lake is founded in Carver County. November 1856: The Town of St. Lawrence is laid out, but is never built. 1856: The town of Helvetia is founded. 1857: The town of Mayer is founded. 1857: The town of St. Clair is platted, but is never settled. May 11, 1858: San Francisco is officially declared a town, despite no longer being the county seat. 1863: Massive flooding occurs in San Francisco when the Minnesota River rises. 1884: A diphtheria epidemic breaks out in town of Helvetia. June 28, 1900: The towns of Helvetia (Hollywood) and Mayer officially merge and become Village of Mayer. “Ghost Towns" Educational program. Carver County Historical Society. Holcombe, Maj. R.I., editor. Compendium of History and Biography of Carver and Hennepin Counties, Minnesota. Chicago: Henry Taylor and Company, 1915. Maravelas, Paul Scheftel. “The Gehl Farm in San Francisco Township, Carver County, with some notes on the village of San Francisco, the Little Rapids, and the Wahpeton Village at that place”. Site study. 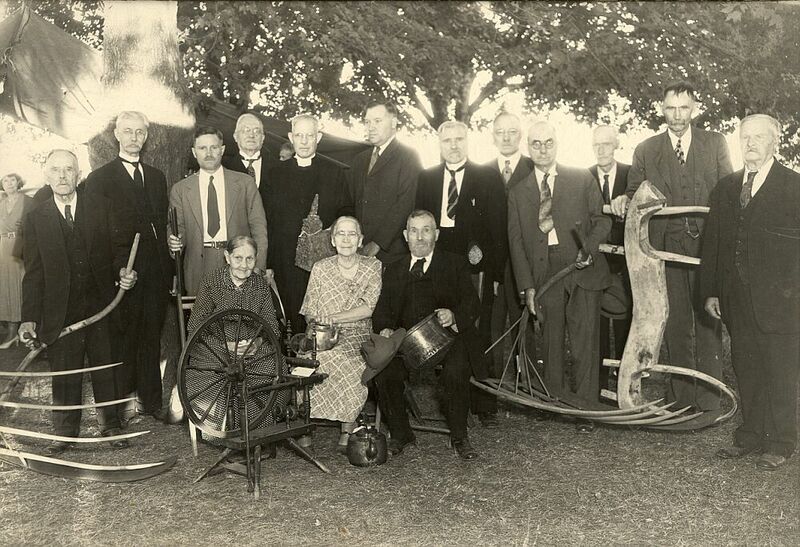 Compiled by the Carver County Historical Society for the U.S. Fish and Wildlife Service, March 15, 1997. Mayer Booster Club. History of Helvetia-Mayer and Community. Lester Prairie, MN: Lester Prairie News, 1936. Thilquist, Susan . 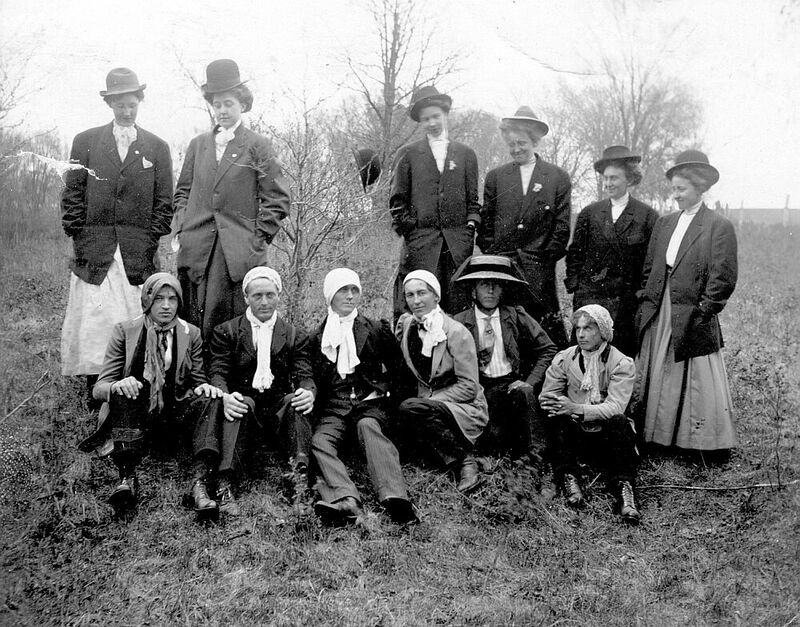 “In the Tracks of the Swedish Settlers in Carver County”. Driving tour pamphlet. Waconia, MN: Carver County Historical Society, 1988. Warner, George E. and Charles M. Foote. 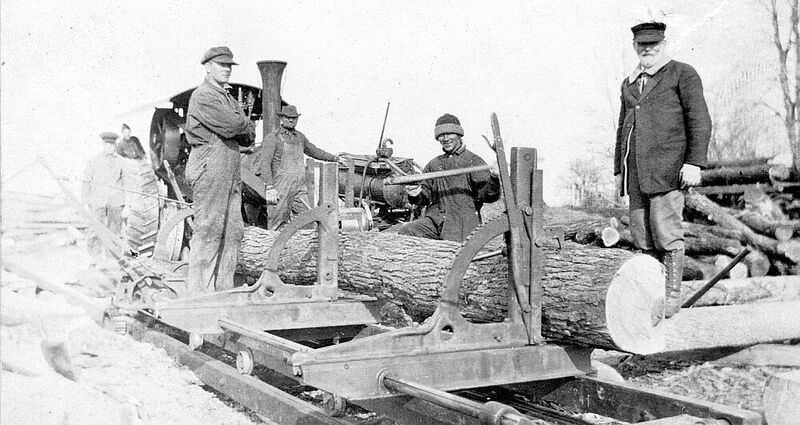 History of the Minnesota Valley: Carver County. Minneapolis: North Star Publishing Company, 1882. Republished 1986. Carter, William. Ghost Towns of the West. Menlo Park, California: Lane Magazine & Book Co., 1971. Kimball, Willis M. “Minnesota’s Ghost Towns”. Minneapolis Journal, May 29, 1932. Tremblay, Ruth and Lois Schulstad. Images of America: Carver County. Charleston, South Carolina: Arcadia Publishing, 2011. Urbanski, Lawrence Eugene. “A study of the disappearance of town settlements in the twenty-eight southern counties of the state of Minnesota”. Thesis paper, Saint Mary’s College, 1950.